This article originally appeared on LunchBadger. LunchBadger helps you build APIs in a continuous lifecycle using serverless open source. Now that the promise of a single unified client is no longer an imminent possibility, APIs, REST and otherwise, are more pivotal than ever for unifying disparate clients. Node.js' powerful concurrency model along with the prolific npm and Express ecosystems make Express the ideal tool to build your next API. Shouldn't We All Just Be Using Firebase? Unfortunately, it also became clear that Angular 1 was difficult to optimize and extend beyond building simple forms. Cordova's proving to have similar issues. Sophisticated clients require developers to specialize. 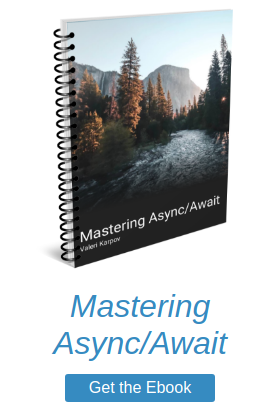 With the assumption that you need disparate clients, like an iOS app, an Android app, an Electron desktop app, and a web client, you need a centralized logic layer. If you use a realtime database directly and your Android app's logic doesn't keep up with your iOS app's logic, you've got a problem. That's where APIs come in. I think KeenIO summed it up best when they said APIs "boil complex processes down to simple commands that magically do lots of work for you." 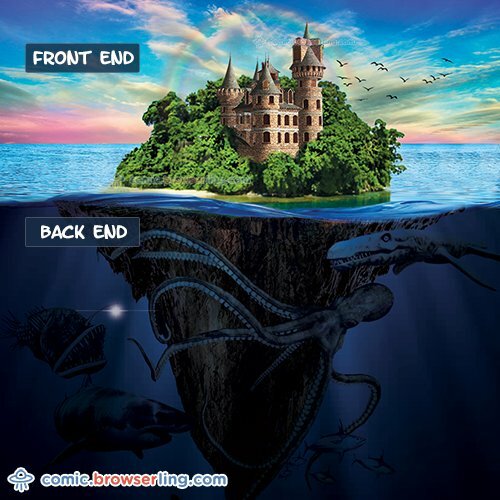 Or, like Browserling put it, an API is like a Kraken that lurks under the surface of your apps and ties together logic and data sources so your apps don't have to. Here's a few examples of tasks that APIs should take care of for their clients. Clients are wildly insecure, as I was recently reminded when I booked a blocked-off slot for car maintenance because the dealer's site relied on Angular 1 form validation. They didn't verify the slot was available on their server. Express middleware makes it easy to define security rules for a group of routes without repeating yourself. For example, the express-jwt library makes it easy to set up JSON Web Token authentication. You can write additional middleware to define your own custom rules. // encrypt the JSON representation of the user using the secret key. I'm sure you've heard that Node.js is non-blocking and there's no standard Node.js notion of a "lock", as opposed to languages like Java. However, these days APIs are typically scaled horizontally, either across multiple instances of an API server or across numerous microservices. When you have multiple servers on different machines, the standard in-memory locks you might remember from undergrad systems programming are not very useful. You need distributed locking, and managing distributed locking across different clients is a nightmare. Express middleware makes it easy to lock a resource for a certain group of endpoints. A common example is locking a user every time the client hits an endpoint that updates a user. You might have separate endpoints like updateAdmin for doing special types of updates, so in general you'd like to lock the user every time someone hits a PUT endpoint under /user. Here's an example using MongoDB as the store for the distributed lock. // way of reporting errors. For both security and maintainability, APIs should be responsible for most interactions between your software and external APIs. Leveraging external APIs is difficult and error prone, having a centralized layer for communicating with external APIs and reporting errors is critical. Keeping potentially sensitive API keys out of the hands of insecure clients is also important. Express error handling middleware makes it easy to handle errors from external APIs in a standardized way, so long as the errors are reported through next(). Here's an example of error handling middleware for the Twilio API.